people get their sleeping habits in the right order. Sleeping habits, just like eating habits, have to be maintained in a healthy manner in order to live an illness free life. People don’t pay attention to their eating and sleeping habits in their youth and carry them towards later on in life and that leads to poor health. Sleeping is the body’s natural repair and maintenance system that works at night. All the muscles and cells are fixed and new memories are formed in the brain during sleep. Therefore sleep affects the body and the mind. Adults should get no less than 7-9 hours of sleep at night. Try to have a regular sleeping pattern. This is one of the most important sleeping tips for anyone. Having a regular sleep cycle will ensure that you always go to sleep when its time. Your brain will release the neurochemicals melatonin and serotonin which help in maintaining the circadian rhythms in the body and tell it that it’s time to go to sleep. So when you yawn at night, take it as a sign from the brain that it’s your bedtime. 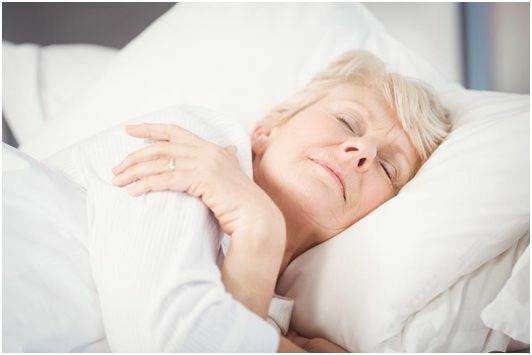 Having irregular sleep patterns can cause health issues in the long run. Having a warm bath will make you feel relaxed, your muscles and joints will ease up and it will induce sleep. Once you get out of the bath, the drop in temperature will also make you want to get inside the bed easily. Switch off all the screens that maybe distracting you from falling asleep an hour before your bedtime. When you watch TV or browse your phone, the light emitted from them signals the brain that it’s still day and so it doesn’t release the sleeping nuerochemicals. Try to read a book or listen to some music because they induce sleep easily. You should avoid naps in the afternoon because if you are sleeping during the day, chances are that you will have a hard time falling asleep at night. This will disrupt your sleeping pattern and the cycle will repeat the next day. Caffeine alerts the mind so it will make it harder for you to sleep at night. Limit your coffee intake to daytime only. Drinking lots of water will wake you up to go relieve yourself one or more times during the night. This will disrupt your sleep and break the sleep cycle. Stop drinking any water one hour before bedtime. Having an active body will tire you out and help you fall asleep easily at night. Even if it is just a walk during the day or evening, make it a habit to be active.